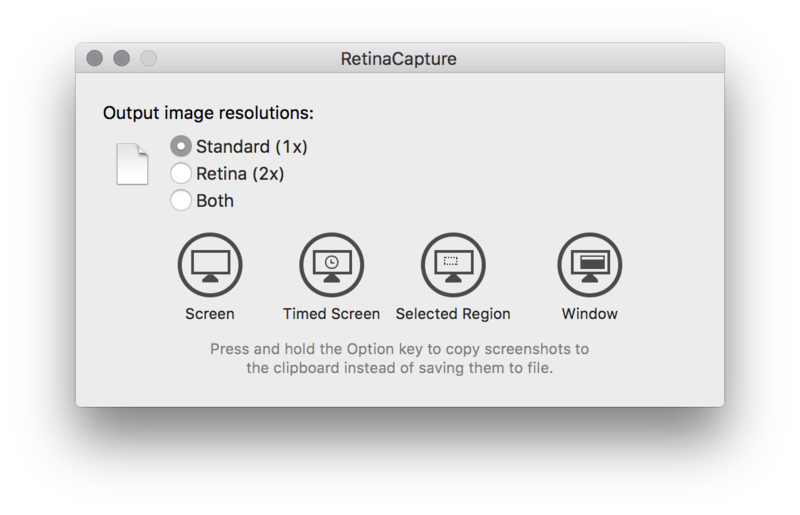 By default, screenshots are pretty big on a retina display on an El Capitan machine. Like about 4 times the size they should be. I haven’t found a defaults key I can use yet to reduce them, so I’ve been using this little screenshotting app called RetinaCapture, available at https://gumroad.com/l/retinacapture. Basically, when you’re running it, you just open it up and click on the Window button. There, you can select a window to screenshot. Once you’ve selected the window, you’ll be prompted to save it somewhere with a name. I don’t love having to use any 3rd party apps for my screenshotting workflow. Screens get resized for books and so I’m really only using this for my site. But, hopefully it helps someone else along the way. Happy screenshotting! Its an automator script that as soon as a new file called Screenshot is saved to the Desktop, it makes a copy thats 50% smaller.